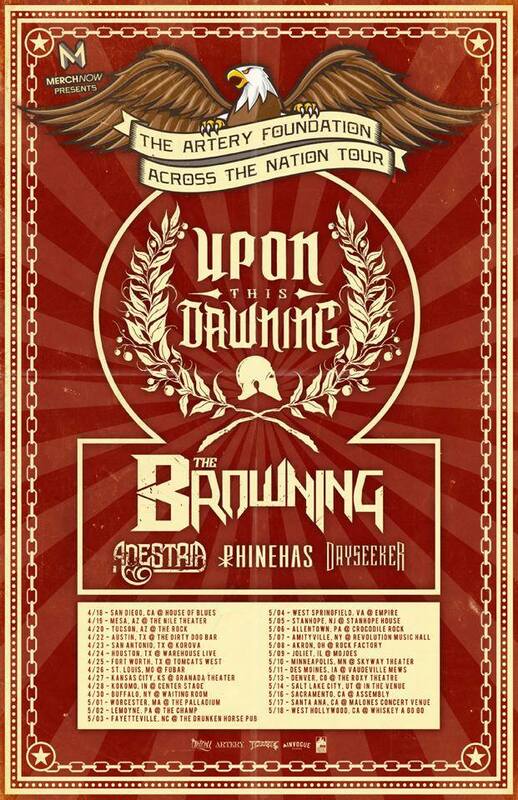 Upon This Dawning will be headlining a show at Crocodile Rock Café in Allentown on May 6th with The Browning, Anestria, Phineas, and Dayseeker as openers. Upon This Dawning is a six-piece Italian band who have been in a lot of transitions lately. The band enlisted Dani Nelli to take over as their new vocalist last year, and recently signed to Artery Records and released their new song “Obey” just a few days ago. The single is the first off of their upcoming album We Are All Sinners, which is slated for an April 29th release. Their debut album, To Keep Us Safe, was released in late 2012. Tickets for the show are $13 and are on sale here.